Abusive mother's lawyer says she 'suffers postpartum depression,' then lists in her favor symptoms of schizophrenia. Abusive, or just ill? 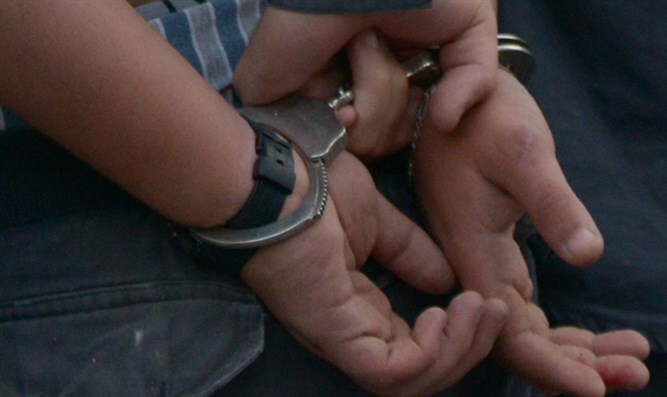 The Be'er Sheva Magistrates Court on Friday extended the arrest of the mother who tossed her baby out the car window. The mother's attorney, who is also a psychologist, said she suffers from postpartum depression and "speaks about unconquerable urges." "She told me that she held the baby and had an urge to toss him out the window. She told me, 'I opened the window, tried to stop myself, and then threw him into the air,'" attorney Yinon Hyman said. Despite the claim of postpartum depression, experts note that such manic urges usually point to more severe mental disorders, such as schizophrenia or bipolar type I. "She told me that 'a voice told her to throw the baby,'" Hyman explained, noting that "despite the fact she did not want to throw him" she found herself doing so. "It's the same voice which previously told her to cut her tongue. She needs psychiatric medication," he said. Experts note that hearing voices is a symptom almost exclusively found in patients suffering schizophrenia or substance abuse. "It's not about a file, it's about a person, a family, and we are very focused on preserving their privacy and honor," Hyman said. "Right now, what's best for the family and the woman is that she should receive treatment from her family and environment, from people who love and appreciate her, and will help return the family to normal life. That's our goal." "The family has not yet fully digested the situation. It's a close family and a strong one. We don't see any reason that the child should not return to his family after the relevant authorities give their approval." On Thursday evening, the mother was riding in a car being driven by a relative. During the drive, near the entrance to Beer Sheva, the driver noticed the mother throwing her son out of the car. The relative immediately pulled over and stopped the car. After he found the injured child, the relative evacuated him to Soroka Hospital in Beer Sheva. On Friday, Soroka Hospital announced that the baby's condition had improved, and that hospital social workers were in touch with the family. The baby's father is currently staying with him in Soroka Hospital's pediatric intensive care unit, and the couple has five other children. Israel Police are currently treating the incident as an attempted murder. In January, a Jerusalem mother strangled her older daughters, then locked her younger daughters into a burning room before strangling herself on the family's porch. Her husband, worried because she had not answered the phone in several house, left work early, only to find his entire family murdered by his wife. The media and public later justified her actions by claiming she suffered postpartum depression. Israeli authorities and media do not like publishing details of women who maim or murder their children - though men who commit identical or lesser crimes are slandered as criminals, with their names and photographs publicized on the media. Statistically, women are just as likely as men to be abusive towards family members, and fully two-thirds of children treated for domestic abuse were abused by their mother - not their father.